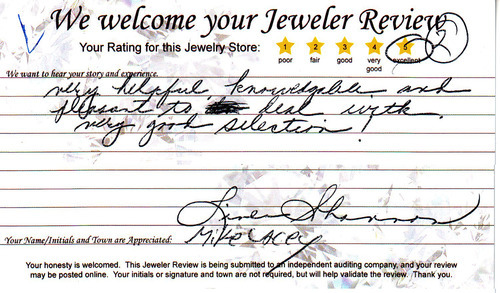 "Knowledgeable and pleasant to deal with"
Very helpful, knowledgeable and pleasant to deal with. Very good selection! Copyright © 2010 - 2019 John S Cryan Jewelers. Family jewelry store in Southampton, PA since 1944.